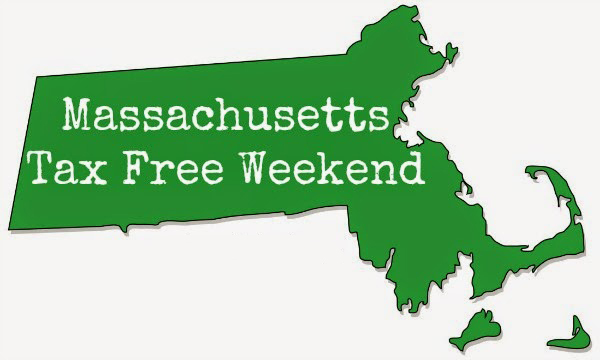 This Saturday and Sunday, visit your local shops and take advantage of Massachusetts Tax Free Weekend. On August 11 and 12, the state’s 6.25% sales tax will be eliminated for all retail goods. Exceptions to this include meals, motor vehicles, motorboats, tobacco products, and any single item over $2,500. After two years without this holiday, Gov. Charlie Baker has decided to sign a bill that brings back this tax exemption. With schools starting up again in less than a month and autumn just around the corner, this weekend is the perfect time to get your shopping done. Check out Wilson’s Department Store in Greenfield for name brand clothing, shoes, accessories, makeup, houseware, toys, and more. Also in Greenfield is The Outlet Store, which carries heavy-duty work clothes and boots from brands like Carhartt and Dickies. If you are looking for more unique, handcrafted items, there are several small boutiques and shops in Franklin County, such as Bridge Street Bazaar, Enjoy, Marjorie Moser Print & Dye Workshop, and A Heart for Art in Shelburne Falls. Turners Falls also boasts several small shops, such as Honey & Wine, a women’s clothing store, and Stenhouse Furnishings, a vintage consignment shop. If you’re looking for something new for your home, the Greenfield area has several furniture and antique stores. Andy’s and The Oak Shoppe in Greenfield offers quality-made finished and unfinished wood, pine, and oak furniture. You can also score some incredible antiques at Whitney Hill Antiques in Greenfield, Freight House Antiques in Erving, and Arts & Antiques on 5 & 10. Enjoy saving that extra money you would’ve spent on sales tax and buy yourself that extra little thing you wanted. Happy local shopping!